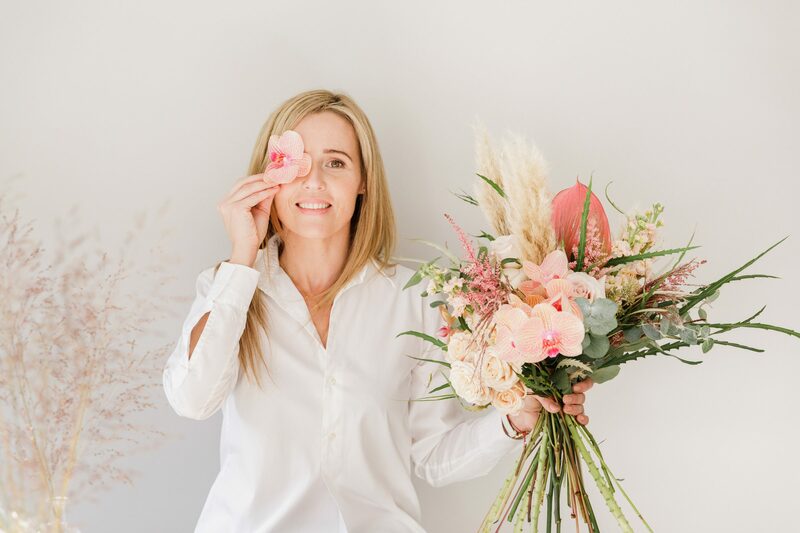 With her background in fine arts, degree in interior design, 17 years of experience in floristry Benjamina’s love and passion shines through all her work. Staying true to this statement, Benjamina offers clients an endless list of floral possibilities. The breadth of her portfolio ranges from weddings, photo shoots, art galleries, window installations, retail interiors and all those other beauties in between. With no client or event the same, Benjamina offers free personal consultations at New Covent Garden Flower Market. Guided by her creative flair, here you are able to thoroughly explore your floral vision – from the flowers to the vases, props and trimmings. Sourcing her blooms from Holland and local British growers, she offers only the highest quality flowers, and will advise her clients the best selection according to the season. "Thank you so much for all your hard work in helping to make Abbie & Allon's wedding such a magnificent occasion. Your floral arrangements I knew would be beautiful but they exceeded my expectations. The Chuppah looked magical and the combination of the gold stands and lanterns simply transformed the Abraham Lincoln room and the flowers on the tables in the ballroom in the Savoy were stunning, the mix of hurricane lights and flowers on the low tables was equally gorgeous. Your floral designs managed to enhance even more an already beautiful room and set the tone for what turned out to be a most amazing evening."